You must have gone through an incident, when you were severely tormented by a nasty tooth ache and a good-hearted, well-informaed friend suggested you a home remedy. That remedy not just worked but worked like a miracle and all your pain and suffering vanished in the thin air. Though skeptics will never budge, these homely remedies prove better in many cases than over-the-counter painkillers from the chemist shops. Ofcourse, there’re are various causes of toothache and you just can’t apply the same solution to every case. 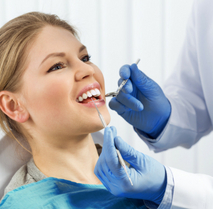 Even if your ache is gone still you need to visit your dentist as soon as possible to uncover the real reason that caused the ache. 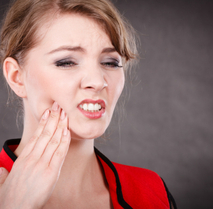 Let’s now discuss some tried and tested toothache remedies that you can easily apply at home. Most of the substances needed in these therapies are easily available in the surroundings. Moreover, these ingredients are also known to have no significant side-effect. 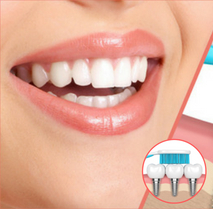 Treatment with salt water: Rinsing the mouth with luke warm saline water cleans the infection from the troubled tooth. As a result, you get some relief from the pain. Add about half a tablespoon of cooking salt to a cup of water. Heat the mixture till it turns lukewarm. 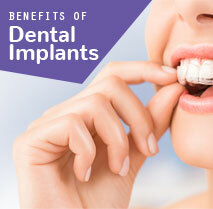 A renowned dentist in London says, this is one of the best temporary solutions to tooth ache. Using hydrogen peroxide: Rinsing the mouth with hydrogen peroxide is another tried and tested homely remedy to cure toothache. The expert at the Wimbledon Dentist says, this opton is even better than the saline water treatment. Hydrogen peroxide itself is a powerful cleansing agent and thus, the solution attacks the harmful bacteria responsible for your pain and discomfort. Add a little amount and the chemical to water and mix well. 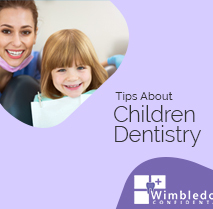 Swish the mixture in your mouth for about 30 seconds and then rinse the mouth with plain water. Your pain will be much bearable if not completely disappeared. Clove oil: This therapy has been in use in India to cure toothache for several thousands of years. Clove contains a natural anesthetic, named eugenol. It numbs the pain to a certain extent. Soak a tiny cotton ball in clove oil and place it on the throbbing tooth. The pain will subside in a few minutes. Using vanilla extract: One of the active ingredients present in vanilla extract is alcohol. Thus, it is a dependable pain reliever for your aching tooth. 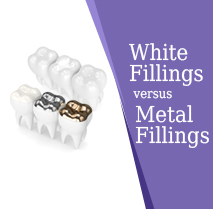 Dab a little quantity of it on your finger tip and rub the finger on the paining tooth. You may also soak a tiny cotton ball with vanilla extract and place it at the pain site. 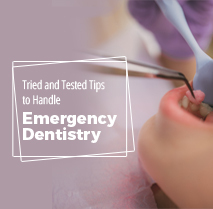 Remember, it provides short-term relief and so, you may have to apply it few times a day. These apart, people also use other pain-relief alternatives like garlic and cotton balls soaked in bourbon to get rid of nagging tooth pain. 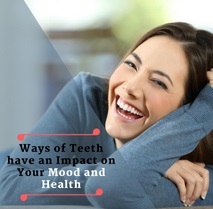 Don’t forget to avail proper dental treatment to get to the root of the pain as soon as possible. 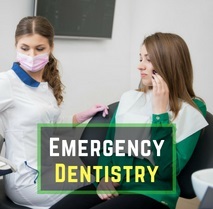 Either you may go to your regular dentist or search online for a reliable expert using strings like “emergency dentist near me”.